Thanks for stopping by and choosing to use Andy's Garage Experts of the Greater Argyle,Bartonville and Lantana,TX area. With our garage door repair team, get prepared to receive Same Day repair service for your garage door needs and to get answers to all of your questions and concerns. Each and every technician in our company offers high Quality,Fast,and Reliable service. We strongly Believe in Building Long Term Relationships with all of our customers. We want your Business today and your Referrals in the near future. Now.. 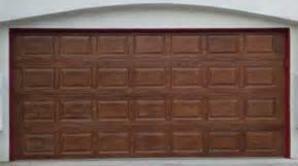 Lets say ,something doesn’t look right and is going wrong with your garage door or garage door mechanism. Your garage door is stuck and won't open or is completely off track. You are looking frantically for immediate assistance and in this case you can definitely Rely on Us - your Local Garage Door Specialists. We are here for our customers' assistance 24 hour 7 days a week,available to repair, replace, and install . We are Just a phone call away 940-202-7051 after hours and holidays at No Extra Charge! All the repairs and garage door parts we use are ALWAYS Brand New and come with anywhere from an 8-15 year Warranty. The Best and longest Warranty on the Market! Broken Spring above or top of the Overhead Garage Door? Trying to open the garage door and it won’t open? But you can hear the motor is still spinning? You heard a loud BOOM come from the garage and all of a sudden you are attempting to raise the overhead door and it's not opening at all? Doesn't open all the way or partially open? Maybe you hit your Garage Door with the car ? Broken or Damaged panel ? Questioning your self : do we need to replace or is it still repairable ? Most of the time even when it looks like it could be the springs, rollers ,cables, track, hinges or track's that may need to be replaced and there is no other way, Andy's Garage Experts have Good News. Even Bent garage door's can be repaired. We can absolutely give you an exact answer if its possible to save you some money. We can be there to assist you with it. Andy's Garage Experts are always making sure that each and every customer is satisfied and never offer you services that you just don't need! Our Goal is 100% customer satisfaction to ALL Customers . All you have to do is,pick up your phone and dial 940-202-7051 and Trust our many Year's of garage repair expertise . When it comes to choosing a garage door part, we put into consideration multiple factors such as the age and size of the existing garage door and weight. From that Andy's Garage Experts determine on the spot what the customer needs. If the customer requires a new mechanism, we do offer new Automatic Opener/Motors in a wide variety from the most Reliable types and brand's such as: Lift Master, Chamberlain, Skylink ,Craftsman,Genie,Legacy,Sears,Stanley,Linear and Wayne-Dalton Garage Door Openers. Also, it is very important to know if your garage door operates with a Belt Drive or Chain Drive Opener Motor.